A morning spent chasing squirrels followed by a swim in the lake is enough to tire anyone out. What could be better than a long snooze in the afternoon sun? 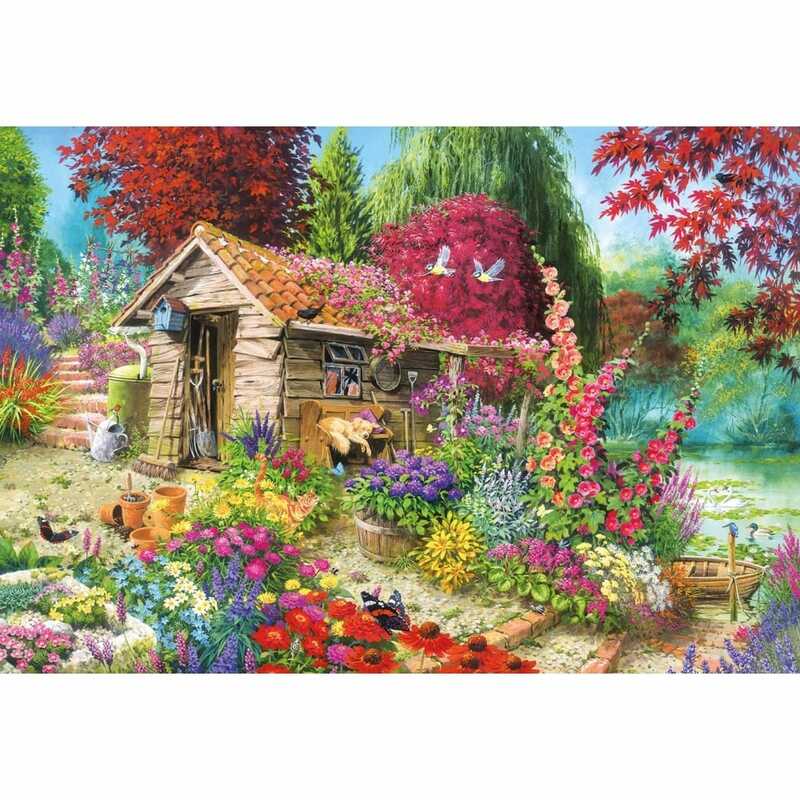 John Francis captures another beautiful garden scene that is full of flora and wildlife in this 500 piece puzzle. As with all Gibsons jigsaws, A Dog's Life is made from 100% recycled board of the highest quality and is therefore a pleasure to work with again and again.